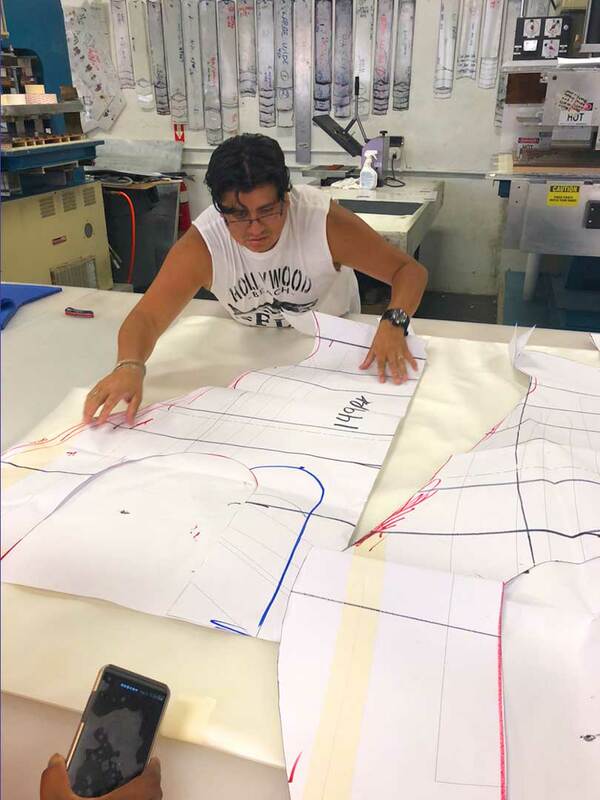 VasoCARE® provides custom made sleeves and garments to fit everyone. 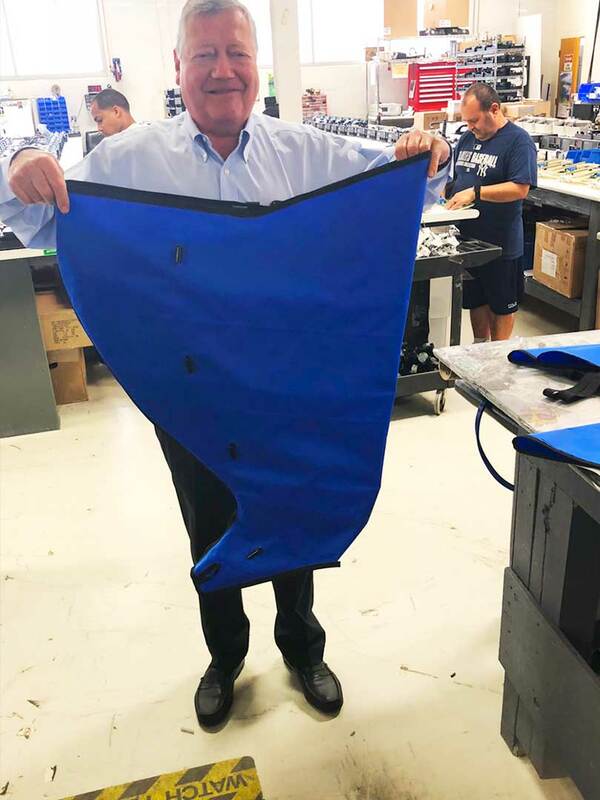 The VasoCARE representative meets with the patient, takes measurements, completes the custom sleeve form, and faxes to Bio Compression for manufacturing. 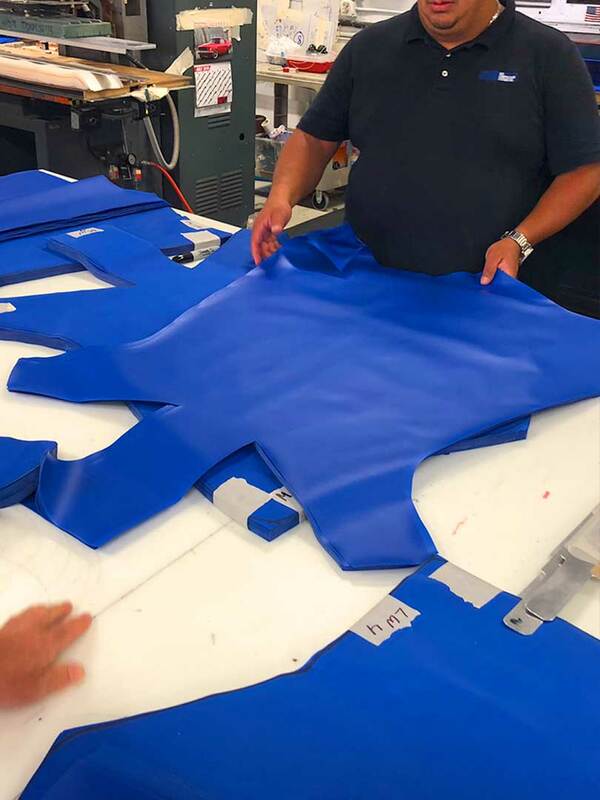 Our partners at Bio Compression Systems create a pattern based on the measurements using heavy gauge paper patterns laid-out on the cutting table. 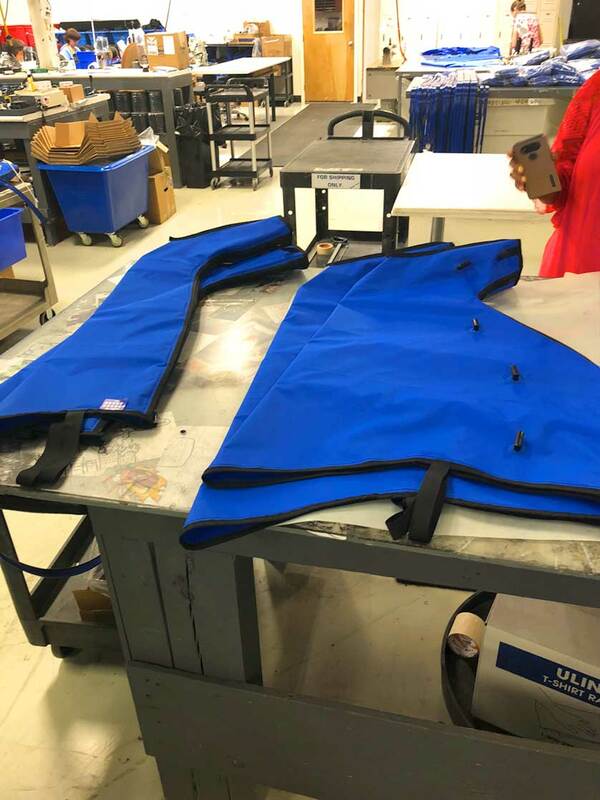 The nylon fabric sleeves are cut axccording to the custom measurement order form and moves to the heat-sealing process. There is a significant difference between an off-the-shelf leg sleeve (L) versus the sizing of a custom leg sleeve (R). A perfect fit is guaranteed every time. 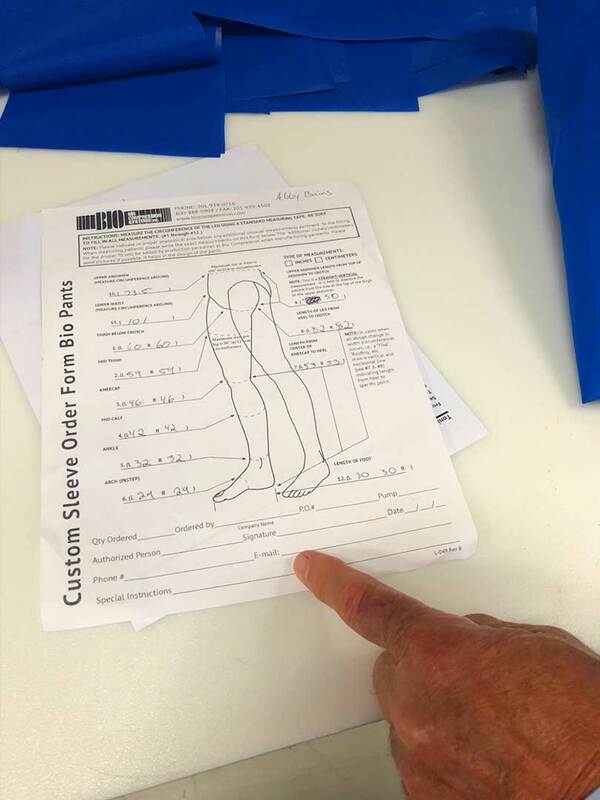 Bio Compression Inc. takes great pride in being the only company in the world to manufacture custom limb sleeves.